Take Your IsaLife™ on the Go with the IsaLife™ Mobile App! 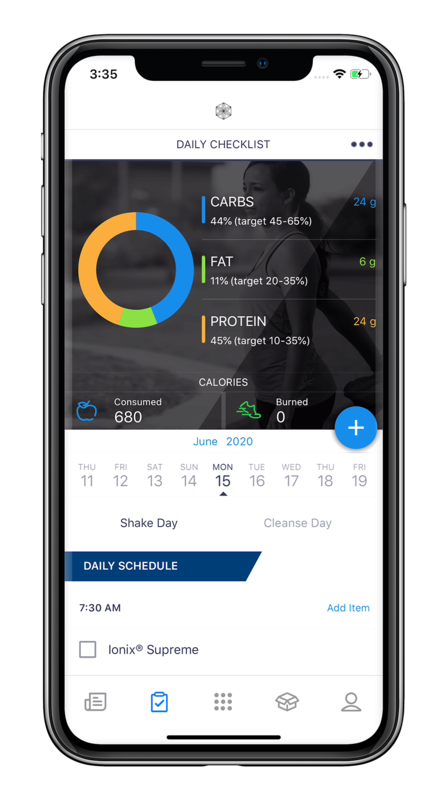 Stay on the right track with your Weight Management Program with this convenient nutrition and fitness tracker, personal coach, and product-ordering platform in one easy-to-navigate app! Sync your Fitbit and Apple Watch to track burned calories and physical activity Track your calories burned manually. 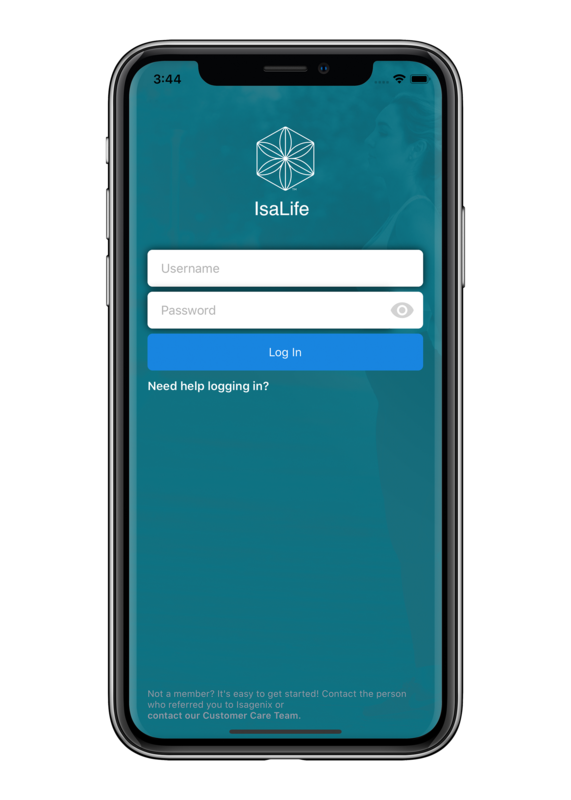 Customers and Associates can download IsaLife™ for free from the Google Play or Apple App stores in United Kingdom, Belgium, Spain, Ireland, Netherlands, Australia, New Zealand, United States, Canada, and Puerto Rico. To recover your username, contact your local Customer Service team. To reset your password, visit the Back Office login page and select the ’Forgot your password’? link. Isagenix provides product and health-related content to everyone’s Activity Feed. We encourage users to share other activity, progress, badges, and support through the Activity Feed to help inspire their Personally-Enroled team members to reach their goals. While IsaLife™ allows you to share videos in your Activity Feed from sites like YouTube or.IsaMovie.com, we recommend sharing content from IsaTools directly from that mobile app to ensure you receive all the analytics that come with your subscription. Users can currently enrol in the Weight Management Program by tapping on the Daily Checklist icon. Isagenix is working to release additional programs soon. Access the Daily Checklist and tap on the three dots in the upper-right corner. Next, select ’Program Information’ from the list. Scroll down on the next page and select the ’Resign Program’ button and then confirm. No. For your convenience, the Daily Checklist includes Isagenix products and reminders on when to have a snack (up to 200 calories) or meal (400-600 calories). Checking the preloaded items like IsaLeanTM Shake or Ionix® Supreme will automatically update your macros; however, we recommend adding your snack and meal items to ensure your daily macros and calories consumed are accurate. Associates in United Kingdom, Belgium, Spain, Ireland, the Netherlands, Australia, New Zealand, the United States, Puerto Rico, and Canada can share Recommended Carts with potential Customers via IsaLife™ to complete their enrolment. You can create up to 20 Recommended Carts by logging into your password-protected Back Office by selecting ’Manage My Recommended Carts’ from the ‘Teams’ tab. You: I’m so excited for you to get started! If you haven’t yet, be sure to download the free IsaLife™ app from the Apple App Store or Google Play Store. Your first step will be clicking on the calendar icon to set up your Weight Management program. It’s easy – just follow the prompts! Before your system arrives, make sure to watch the brief videos included in the app about how to do Cleanse and Shake Days, and the Product Overview. Once you’ve done all of that, shoot me a text! IsaLife™ is the perfect platform to help you connect with your Personally-Enroled team, especially while on-the-go. 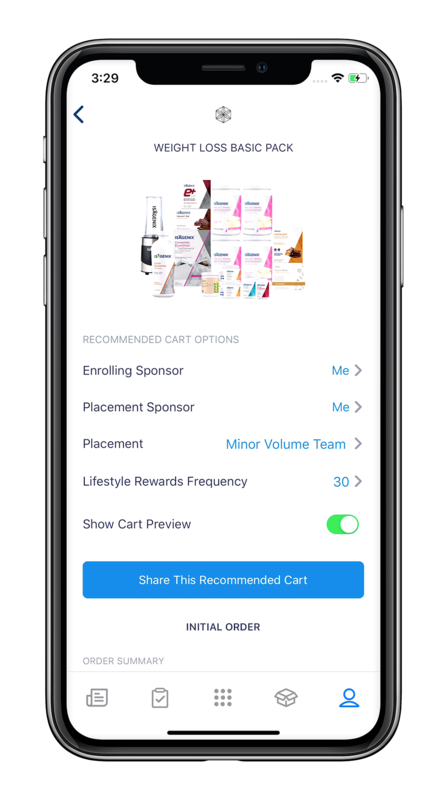 The app allows you to share tips and support through the Activity Feed and allows your Customers to reach out to you directly and share their experience. As an Enroling Sponsor/Coach, IsaLife™ provides you with priority notifications so you know exactly when to reach out to your Customers. Tap the Settings icon and then ’My Personally Enroled Team’. Once you’ve located your personally enroled team member, tap on their name to access their profile and post a message to their Activity Feed. Your personally enroled team member will receive a notification on their Activity Feed letting them know a message is waiting for them to view.